And here is the same model, unsubdivided and shadeless for those of you who want to take a look at the wireframe with clarity. I will be making a low poly and baking soon, so crits please! The high polys look fantastic but I waited around about a minute to let the first to load and didn't bother with the second. 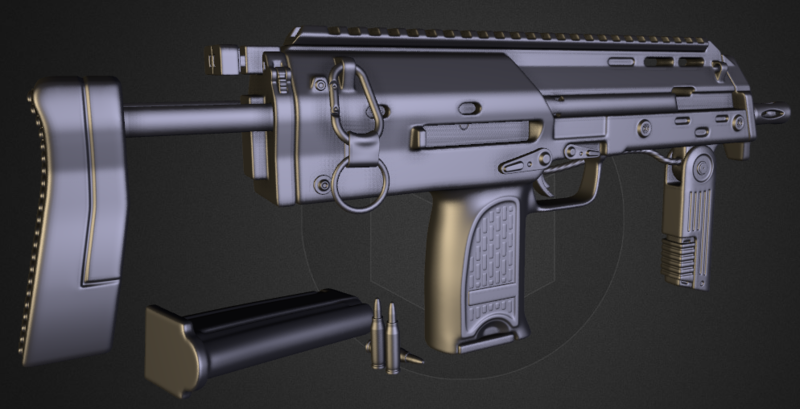 I think uploading high polys to sketchfab is an unnecessary slowdown of efficient workflow, but the first does look good. I recall seeing one of these webgl showcasing services that would allow you to upload the unsubdivided mesh and it would subdivide it in the user's browser, but I cant seem to find it anywhere. That would decrease the wait time about 25x! Anyway, It's actually a bit less involved than uploading tons of screenshots. In most cases you can just upload directly from inside of max with one click using their plugin. Still "coke" is a way pronouncing it, though not exactly the original one. Either way, if you check out the fun fact again, it was meant as a joke , not meant to be pedantic. Lol, itchy. 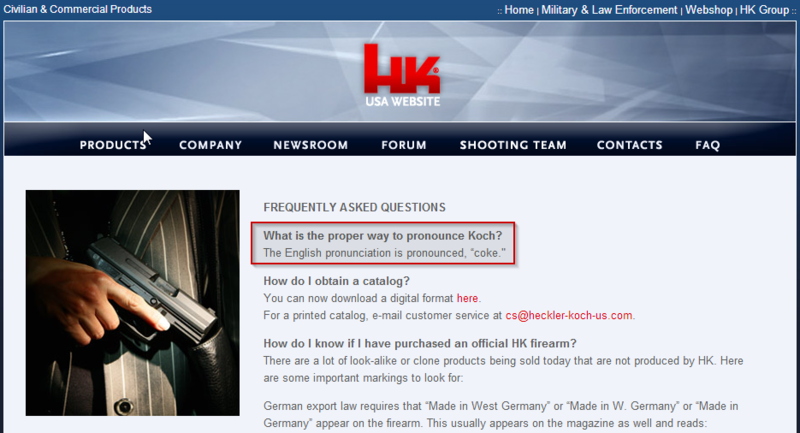 And I guess english speakers trying to pronounce it as the german "co" would make is sound like 'Heckler and Company'. Anyway, what do you guys think? Are the edges too tight? I feel like I frequently ran into features on the reference that were too tight to add their own set of support loops, so some of them share support loops. I hope this itteration will show up nicely on my normals bake. You may want to fill in some concave geometry for a better bake when saving polygons on the low. 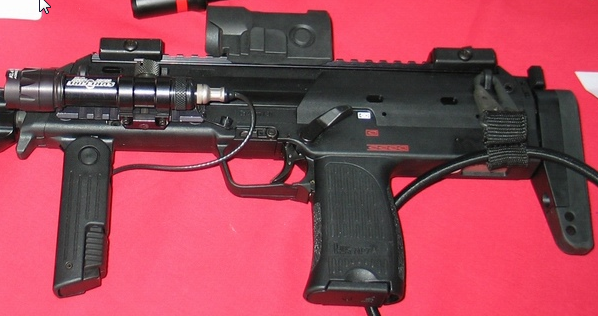 See Racer's MP7 where he intentionally leaves the muzzle break solid instead of hollow, and the vents as deep intrusions instead of straight tunnels through the mesh. This way he can save both time and polygons on the low, with it becoming an easier and less problematic bake. But you already have it modeled so it could be neat practice to just bake with the existing contours. The smoothing on the wire for the tac light is twisting or doing something funny, unless that is intentional? 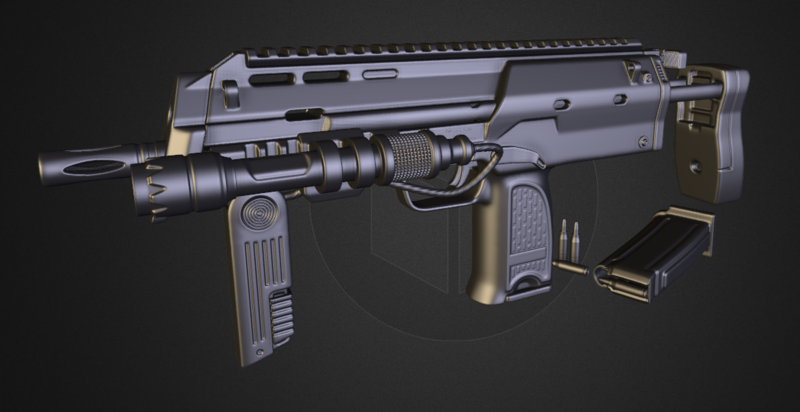 Damn, I do have a tendency to make my guns way too wide for whatever reason. I will have to try and fix that, thanks Racer. I was just got finished with all the low poly EXCEPT the main body, so right on time. 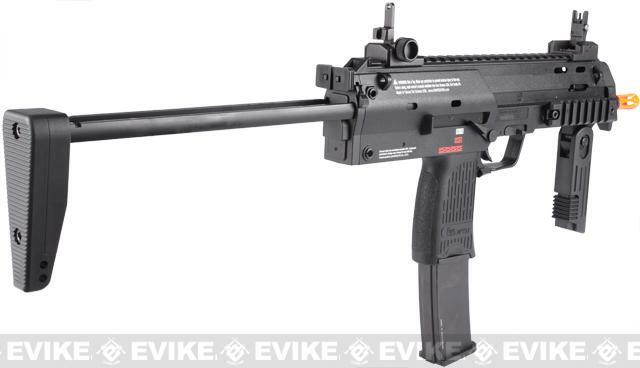 Isn't that a flash suppressor, rather than a muzzle brake? I was just going to paint the insides of it black in my diff and spec by baking with a small cylinder inside of it to block the rays while projecting a mask into my material map. As for the vents, do you mean the ones on the sides of the rails? I wanted to leave those open so you could see the rails slide out through them. I think you are right about the ones on top and near the front. Yes, it's intentional! You can see it in the top concept, what do you think? 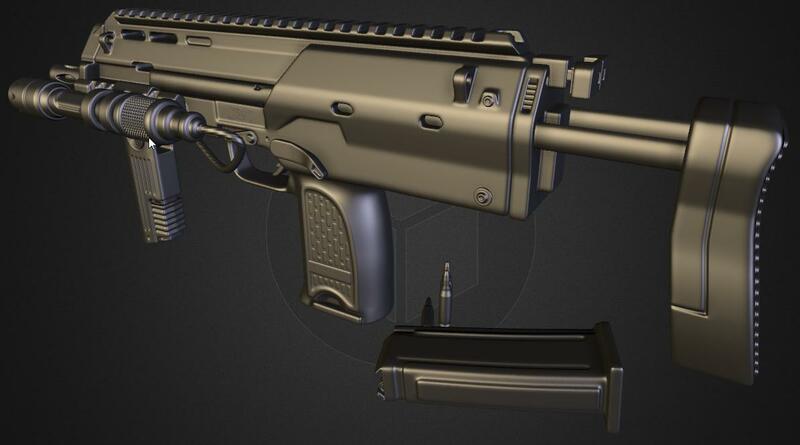 How would you guys go about making a low poly for the picatinny rail? 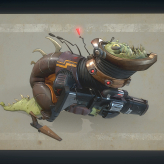 Nice attention to detail, great work man! I think I snagged the method from racer, but I don't remember 100%. Though I'm pretty sure it was from a post 3-4 years ago. As for gun width, I typically start by getting the barrel the right diameter / dimensions. Since they're not oval shaped or anything, once you have that the right outer diameter, you can check the rest of the block in width against that & how it compares to the ref images.